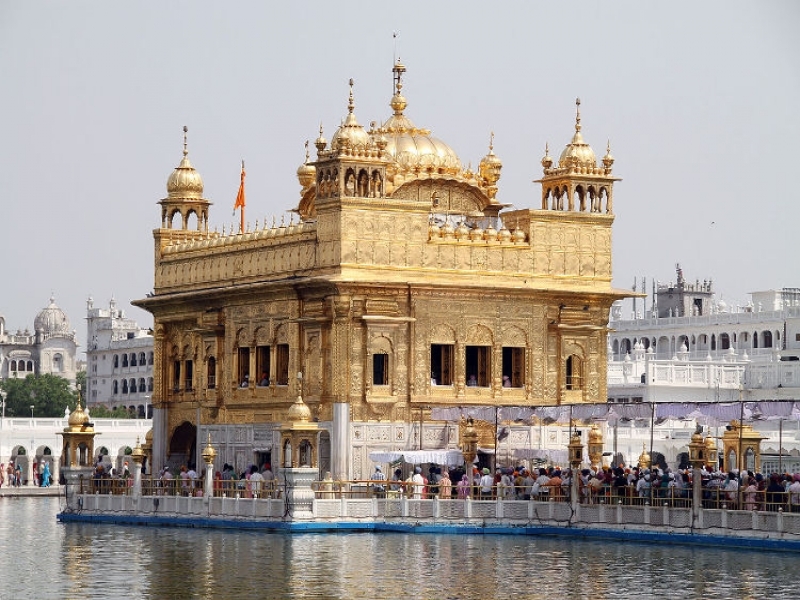 Punjab is a state in North India, is bordered by the Indian states of Jammu and Kashmir to the north, Himachal Pradesh to the east, Haryana to the south and southeast, Rajasthan to the southwest, and the Pakistani province of Punjab to the west. The state capital is located in Chandigarh, a Union Territory and also the capital of the neighbouring state of Haryana. There are 22 cities and 157 towns in Punjab. The major cities are Ludhiana, Amritsar, Jalandhar, Patiala, Bathinda, Sangrur, and SAS Nagar (Mohali). After the partition of India, the Punjab was divided between India and Pakistan. The Indian Punjab was 3 parts. Haryanvi speaking areas (dialect of Hindi) were carved out as Haryana, Hilly regions and Pahari speaking areas formed Himachal Pradesh alongside the current state of Punjab. Punjab is the only Sikh majority state in India with Sikhs being 57.69% of the population. Approximately 75% of the total Sikh population of the world lives in the Punjab. Agriculture is the largest industry in Punjab. The original Punjab region is now divided into several units: West Punjab (now in Pakistan), portions of Khyber-Pakhtunkhwa such as the Gandharar region, the Indian states of Punjab, Haryana and Himachal Pradesh and the Indian Union territory of Chandigarh. The regions of Azad Kashmir and Jammu have also been historically associated with the Punjab. Punjab lead to large variations in temperature from month to month. The maximum temperatures usually occur in mid-May and June. The temperature remains above 40 °C in the entire region during this period. Ludhiana, Patiala & Amritsar recorded the highest temperature during the summer. These areas experience the lowest temperatures in January. Punjab is one of the most fertile regions in India. GDP is Rs.3.17 lakh crore (US$47 billion). Indian Punjab is called the "Granary of India" or "India's bread-basket" Because it produce 19.5% wheat of India. In worldwide terms, Indian Punjab produces 2% of the world's cotton, 2% of its wheat and 1% of its rice. The state has been awarded the National Productivity Award for agriculture extension services for ten years, from 1991–92 to 1998–99 and from 2001 to 2003–04. According to the India State Hunger Index, Punjab has the lowest level of hunger in India. Punjab has a large network of multimodal transportation systems. It has six civil airports. Almost all the major as well as smaller cities of the state are linked by railways Ludhiana Jalandhar cantt and Jalandhar city Junction are Punjab's busiest railway stations having trains connecting to all major cities. All the cities and towns of Punjab are connected by four-lane national highways. Punjab has 23 universities, of which 10 are private, 9 are state, 1 is central and 3 are deemed universities. Punjab Agricultural University is a leading institution globally for the study of agriculture and played a significant role in Punjab's Green Revolution in the 1960s–70s. Alumni of the Panjab University, Chandigarh include Manmohan Singh, the former Prime Minister of India, and Dr. Har Gobind Khorana, a biochemistry nobel laureate. One of the oldest institutions of medical education is the Christian Medical College, Ludhiana, which has existed since 1894. The culture of Punjab has many elements including music such as bhangra, an extensive religious and non-religious dance tradition, Punjabi wedding traditions and ceremonies. Punjab is home to the Punjabi film industry, often colloquially referred to as 'Pollywood'. It is known for being the fastest growing film industry in India. It is based mainly around Chandigarh city. There are many regional dishes are exclusive to Punjab, including sarson da saag, Tandoori chicken, Shami kebab, makki di roti, etc. 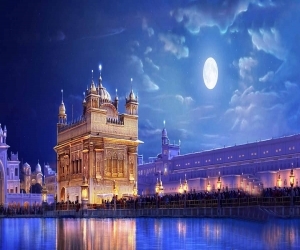 Punjabis celebrate a number of festivals as Bandi Chhor Divas(Diwali), Mela Maghi, Hola Mohalla, Rakhri, Vaisakhi, Lohri, Teeyan and Basant.